With its recent decisions the U.S. Supreme Court obviously weighs in on immigration issues. Obviously they would and will uphold much of the Administration’s immigration restrictions as the Executive traditionally imposes restrictions in the name of national security. But largely unnoticed, MASLENJAK v. UNITED STATES the Court found for the deported, embracing as its core logic that in order to prove that the defendant “procured” naturalization and/or citizenship in violation of law, the Government must show that this violation actually contributed to the outcome. In a reduction ad absurdum argument, aka, the slippery slope, the High Court cites as obviously not qualifying under the statute an irrelevant simultaneous violation of law (filling out forms with knife in handbag) that did not affect the outcome. But ironically the abolitionist DEFENSE bar standardly employs this same specious logic in debate, print, and penalty phases of death penalty trials including the recent one I testified, when they characterize life without parole as “DEATH BY PRISON” But of course death in prison hardly qualifies as death by prison where the lifer, as almost all do, dies by natural causes inside prison. It conflates the place with the cause. If I die while watching a movie inside my living room, is that death by movie, or death by living room? If one dies WHILE in prison but not BECAUSE of prison, it’s not death by prison. Weaker, and yet still valid, the Supreme Court’s logic that a defendant who obtains citizenship WHILE committing a violation of law but not BECAUSE of it, has not illegally procured it. In both cases a misleading and specious misuse of logic and language didn’t seem to bother the litigant. In neither case, hopefully will it work. Recently, as a lonely American at a friend’s birthday party in Montreal, I found myself the object of pointed conversation: “How do you feel about focus shifting away from the U.S. and back to Canada for moral leadership?” As I informed my Canadian friends, the pending shift is not only away from U.S. to other countries for responsibility and leadership, but also within the U.S. to cities and states — which is not such a bad thing. It returns us toward the Founders’ vision and the meaning of federalism. The progressive left will and should increasingly embrace state rights. I then asked them how they felt — and they said “a bit uncertain, but in the end it, too might be a good thing.” So let’s not decry it. Instead, let’s celebrate this return to moral and local self-reliance which hopefully will complement greater economic and yes, military as well as political responsibility. So Draymond Green has been suspended for tonight’s game in the NBA finals because he swiped Lebron James in the groin. Reasonable minds can differ whether Lebron provoked that unsportsmanlike conduct by straddling and stepping over Green after knocking him to the ground rather than stepping around him. Nearly everybody agrees that Green’s contemptuous and casual swipe in and of itself was not designed to disable or seriously injure James and thus did not deserve a full game suspension. But Green’s prior behavior, his accumulation of flagrant foul points from foul moves in earlier games made this particular one cross the threshold. So controversy swirls: Should a foul not serious enough in itself to qualify for suspension, when coupled with prior bad behavior, constitute a sufficiently serious violation? The criminal law has long faced an analogous controversy. “Three strikes and you’re out” laws have resulted in life in prison sentences meted out to recidivists whose third strike was, standing alone, relatively petty – such as stealing golf clubs from a pro shop, or an unarmed burglary. So that raises the basic question: If we in society or the sport community commit ourselves to having the punishment fit the crime, exactly what is the crime here being appropriately punished? Casually swiping at someone’s groin or casually-swiping-at-someone’s-groin-having-previously-kicked-another-player-in-the-balls et al.? Within any particular game, a player may foul out and thereby be excluded from playing the rest of the game, although his sixth foul, in itself, was trivial. A fan may protest: “He doesn’t deserve to foul out for that.” No, not in isolation, but given the five before it, of course. Some commentators justify suspending Green to send a message to other would-be foulers. 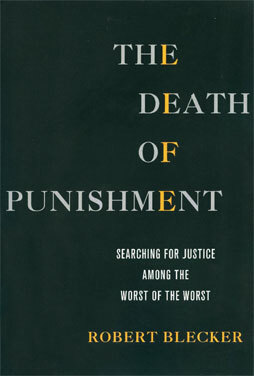 We advocates of punishment as retribution reject using person as a means for other ends. For us retributivists, however, committed to proportionate penalties and just deserts, the past does count. Draymond Green’s earlier fouls count as part of his latest. I believe Green should have been suspended for his earlier unprovoked shot below the belt on Steven Adams. He wasn’t. So perhaps this is a make-up call – itself a subject of interesting and deep controversy. In any event, I’ll be rooting for Golden State tonight. But win or lose, I’m glad they’ll play without Draymond Green. THE CROOKED CASE AGAINST TOM BRADY: WHAT’S WRONG WITH THIS PICTURE? The NFL insists that science alone cannot explain the Patriots’ pressure drop. Therefore the ball attendant must have deflated them — and quarterback Tom Brady must have known. Much depends on which gauge the referee actually used to measure the balls pre-game. The referee remembers using his longer-needled (LOGO) gauge. But the “independent” investigator/consultants rejected the referee’s recollection. Do the gauges resemble each other so much that the referee would mis-remember which he used? How much longer exactly is the longer needle? See for yourself. Examine the independent consultant’s own close-up: What do the rulers tell your eyes? Look again. (Yes, they shifted one ruler .2” to deflate the difference!) The longer, LOGO gauge needle really measures TWICE AS LONG as the shorter one. Would an experienced referee who used one of these gauges 24 times that day, mistake it for the other? But wait! There’s another trick in this optical illusion: Are the needles both “slightly bent” as Exponent’s caption suggests? Or did the “independent” investigator/consultants earn their millions by shooting a photograph specifically to eliminate the greater bend of the longer needle? This further deflates the difference. Look carefully. The truth lurks in the shadow. How could these sophisticated scientific/engineering PhD statisticians with all their complex simulations and graphs somehow misalign two simple rulers? Accident — or con job? Once you credit the referee’s memory here, and reject one other pseudo-scientific piece of twisted logic, science can fully explain the entire pressure drop. Leaked mis-information, implausible assumptions and daring distortions obscure the truth. Deflategate is a sham — an NFL cooked-up fraud. So who cheated: The quarterback or the League? American Hustle opens, with a classic scene of Irving affixing a hairpiece to his bald scalp and then constructing an elaborate comb over. We sense from the opening we are in the presence of someone who makes a great effort carefully to construct a false appearance. We are not who we appear to be. Alone with himself, before the bathroom mirror of the Plaza Hotel, Irving passes into a monitoring room where unseen others are in front of screens monitoring others. Then into the monitered room with a suitcase of money shoved toward an unsuspecting Mayor. American Hustle, hustling itself often requires the convincing creation of false appearances. Richey poses as a person who can get loans, or as a dealer in stolen art. Really he’s a con artist. “I became a con artist, for real” Irving as narrator declares with delicious irony. A con artist for real. A little like declaring: “This statement is false.” If it is false, then it’s true, but it’s true only if it’s false. American Hustle portrays a world where appearance and reality shift, conflict, and taunt us to tell which is which. So Irving’s hustle is based on his false appearance. But Richey, the FBI undercover agent posing as an unsuspecting businessman desperate for a loan, also creates a false appearance. Undercover operations, government sponsored stings and scams require phony worlds, carefully constructed. Only the agent and his supervisors, know what’s real. Or do they? I recall vividly, as a special prosecutor, sending undercover agents out in the field to play their parts, and feeling a smug superiority as I watched the criminals scurry in my carefully constructed and completely phony world. Is Sydney’s allegiance and love shifting from Irving, the con artist, to Richey the FBI agent with whom they’re forced to cooperate. Or is it all an act? “Maybe I do like him. Maybe I do like him a lot,” Sydney warns Irving. Who is conning whom? Who has the upper hand in the struggle between Irving and the FBI? “People believe what they want to believe,” Irving warns, as he points to a fake Rembrandt hanging on a museum wall. “The guy who made this was so good that he’s made it real to everybody. Now who’s the master — the painter or the forger? Is there any reality beneath the appearance? When it comes to right and wrong, to genuine goodness? We feel the real threat behind that warning. So evil can be real, although good may be apparent. Is nothing real? How about love? That’s the most uplifting Platonic spine of this fine film that may have won no Academy awards but deserves serious and sustained appreciation, must be the relationship between Irving and Sydney. But that’s for the next post. Where to start? I guess at the beginning, in the Garden of Eden, where the snake, an agent of the Sovereign, convinces Eve to violate the Law and eat the apple in order to appreciate and enjoy a life that the Sovereign had prohibited. So Eve plucked the apple, passed it to Adam and they ate. But the garden was wired. So the Sovereign confronted Eve. And her reply: “The Serpeant beguiled me and I did eat.” This, the first entrapment defense of record, failed miserably. Adam and Eve were expelled from the Garden, Adam was condemned to toil painfully, Eve to suffer the pains of childbirth, and all of us condemned to die. Fast forward to American Hustle. Irving, an expert con man, with a carefully constructed persona, falls for Sidney, a woman scratching out a life for herself who joins Irving in scamming people out of finders fees for loans they have no intention of producing. Richey, an FBI agent, investigating the fraudulent scheme by posing as a man in need of a loan, busts Sidney. But Sidney doesn’t give up Irving. She writhes alone in a cell. Nor does Richey abandon Sidney. Together they agree to work off their case and reveal corrupt schemes of colleagues. . .
After Eden, the entrapment defense rarely succeeded. Until Sorrells. It was during Prohibition. A federal undercover agent posing as a tourist, struck up conversation with a local. The agent “discovered” they had both served in World War I, and exchanged war stories. Would his newfound buddy get him some booze. Initially, the target refused. More war stories, a new friendship began to bud. Booze? Declined. Finally the unsuspecting target, Sorrells, feeling sorry for his new “friend” offered him some alcohol. The United States Supreme Court unanimously threw out the conviction, agreeing there was entrapment, but split over why. The majority of the Court would focus us on the defendant himself. Was he predisposed to commit the crime? Was he ready and willing, and only lacked the opportunity which the Government supplied? Measured by that standard, there was no evidence Sorrells was predisposed. The Government had manufactured a criminal. And that person was entrapped. But Irving, the main character and narrator of American Hustle routinely swindled targets out of finders fees for loans he had no intention of producing. And Sidney, his new found colleague in crime, posing as Edith, a British aristocrat with London banking connections, had elevated Irv’s swindle to a higher level. Richey the government agent had clearly not created any criminals. He had simply revealed ongoing criminality. Under the U.S. Supreme Court’s majority view, neither Richey nor Edith were even arguably entrapped. Mayor Carmine Polito, however, was a more difficult case. But that’s for a future chapter. If you haven’t yet seen American Hustle but you intend to, either before or after the Academy Awards this coming Sunday, do not read this series of posts — yet. They may well ruin this movie for you. On the other hand, if you have seen it once, or think you’ve seen it, I hope to convince you in these next few blog posts that you never really saw this great film — you can’t have. Only when you already know the whole story, and watch the characters struggle to release themselves from their respective binds — only then can you begin to really appreciate American Hustle, this time for the first time. The well-regarded film critic Jeffrey Lyons recently rejected American Hustle for “best picture” by declaring that he had long since lost interest in ABSCAM. But that comment fails to realize that although American Hustle is set in the era of the FBI’s famous ABSCAM investigation, it transcends it. The film raises timeless legal and moral questions; it offers a deeply moving and well motivated love story; it explores the human condition — the conflict between who we are and how we choose to appear — it addresses the legitimate limits of government power, intrusions on privacy, entrapment, and so much more. Tragic in spots, hysterically funny in others, brilliantly acted, directed, and written, this deeply truthful and yet fanciful love story contains a classic “Hollywood Ending” reminiscent of an earlier era. Lines from the movie merit repeating, themes from the film merit considering and discussing, characters merit recalling, scenes merit analyzing, and questions merit discussing. Future blog posts shall do this. But for now, I post this, especially for those film fans who want to watch the Oscars prepared to root for the best.